Allegiant Air has been the only airline providing flights to a single location at the Santa Maria Public Airport (pictured) for more than a year. The Santa Barbara Municipal Airport offers dozens of daily flights to numerous locations through seven different airlines, and that number is growing. The coming year could be a record-breaking one for the Santa Barbara Municipal Airport, which has seen some major expansion throughout the past eight months and even in the last few weeks. Despite many efforts to do the same at the Santa Maria Public Airport, little progress has been made. 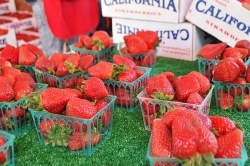 On Jan. 28, Delta Air Lines announced that it would launch three daily year-round flights from the Santa Barbara Airport to Salt Lake City starting in August. It’ll be the first time Santa Barbara will have service to Salt Lake since 2010, according to Santa Barbara Airport spokesperson Deanna Zachrisson. It wasn’t easy to get Delta to sign on, Zachrisson said, because it can be difficult for airlines to find the available pilots and planes to provide new services. But she said Santa Barbara Airport officials had undeniable and historical data proving the flight’s popularity prior to its end in 2010. The deal is expected to be a financial success for both the airport and airline, Zachrisson said. Another added flight is coming to Santa Barbara in April, when Contour Airlines will begin offering daily flights to Sacramento, another service the Santa Barbara Airport has gone without for roughly 10 years. That addition was announced on Jan. 31. Contour began its work with the Santa Barbara Airport in October, when it started offering weekly flights Oakland and Las Vegas. Around that time, several other airlines started up with the Santa Barbara Airport, Zachrisson said, including Frontier and Sun Country, which offer flights to Denver and Minneapolis. Airport officials hope the changes will lead to the Santa Barbara Airport’s highest customer traffic year since just before the recession really hit in 2008, when the airport served roughly 835,000 passengers. “We expect that we’ll have more than 800,000 passengers for the year,” Zachrisson said. 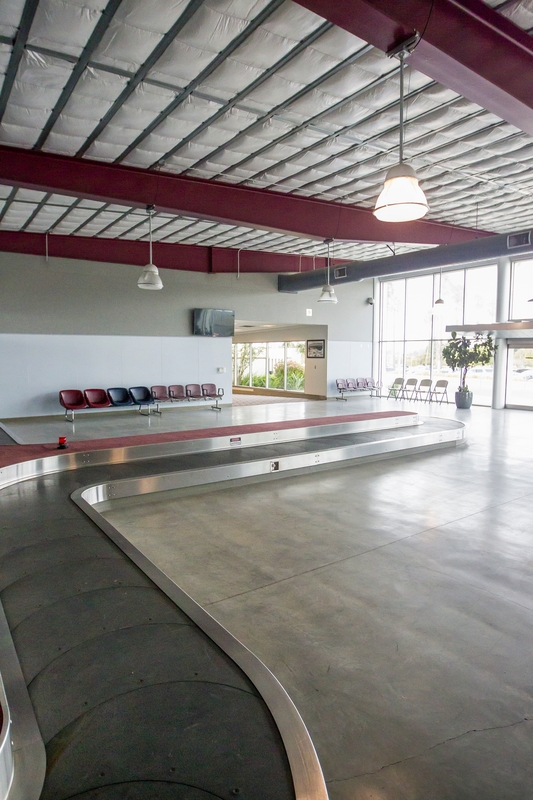 Meanwhile, little has changed at the Santa Maria Public Airport, which offers only one commercial flight to Las Vegas a few times a week through Allegiant Air. The lack of commercial flight services for Santa Maria’s business and leisure travel communities has been a major concern for the Santa Maria Public Airport District board of directors for years. Both United and Mokulele airlines parted ways with the airport between 2016 and 2017, leaving it with a single airline and the lowest ridership numbers in 2017 that it had seen since 2009. In February 2018, Santa Maria Airport General Manager Chris Hastert told the Sun that re-establishing hub service to benefit the business and military community was the airport board’s highest priority. The board, he said, hoped to partner with a major airline that could provide eastbound flights to hub airports in Denver, Phoenix, or Salt Lake City. Hastert did not respond to multiple requests for comment before the Sun’s deadline.